Dorus Joseph Deters, 86, Overland Park, KS, passed away Friday April 12th at KU Medical Center. The visitation will begin at 12:30pm on Tuesday April 16th at Redemptorist Catholic Church at 3333 Broadway, Kansas City, Missouri with a Funeral Mass at 1:00pm. Burial will follow at Resurrection Cemetery, 83rd and Quivira Lenexa, Kansas. Dorus liked to go by his middle name Joe. Joe was born on August 11th, 1932 in Seneca, Kansas the son of Ben and Lucy Deters. Ben Deters was born in 1892 in Osterfeine, Germany and came to America in 1902 with his family to become farmers. Lucy was born in Centralia, Kansas in 1905. Joe is the fourth of twelve kids starting with Bernice, Robert who later became Father Henry, Mildred, Dorus Joe, Gregory, Audrey, Marvin, Mary, Benny, Francis, Shirley and then Joseph. 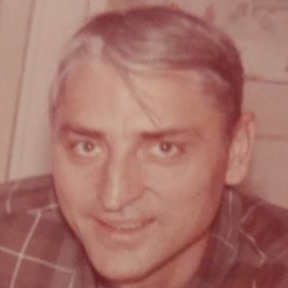 When Joe was in his late teens he desired to move to the city and found employment in Kansas City working as an aircraft mechanic for TWA, an assembly line worker for General Motors, a semi truck mechanic for Phillips 66 and a bus mechanic for Kansas City Area Transit Authority among other jobs he had in his life. Joe however never lost the desire to be a farmer and had 80 acres of property in Missouri to take care of and enjoy. Joe was a very skilled mechanic and he never failed to help others when they needed him for whatever issue their car had. He often would help others before he would take care of his own problems. He was an unselfish man who often donated to the church with his time and money. Joe would study the bible and understood that helping others was something he was good at doing and was his calling in life. Joe and Jean met at Redemptorist Church at a dance and married on October 3rd, 1959. They had three children starting with Margaret, Dorothy and then Joe. Margaret is married to Mark and has two children, Valerie and Jimmy. Dorothy is married to Bob and has no children. Joe is married to Kim with no children. Jean passed away on October 21st, 2010. Joe suffered a number of ailments in his life before his passing. Joe's family would like to thank everyone for their prayers, love and support during this time. Uncle Dorus was a very special person and he will be missed. Our deepest sympathies to all of the family. Love, Nancy, Tom and family. I got to know Joe about 4 years ago when he joined a group of men from Queen of the Holy Rosary Church who experienced Christ Renews His Parish. We all appreciated his deep Catholic faith and enjoyed his humorous stories about life growing up on the farm. He spoke often of his love for his family, and especially of his devotion to his wife, Jean, with whom he is finally reunited. We will miss him very much. I am sorry to hear of Joe’s passing. I was in the Serra Club of KCK with Joe and on the Board of Directors with him,. I always enjoyed Joe’s company. I am sorry to hear about the passing of Joe. He was a wonderful man. He created the “Jesus I Trust in You” bumper stickers, and I believe hundreds if not thousands were distributed throughout Kansas City, thanks to his effort’s. He was a very nice man. I got to know him in the ‘Christ renews his parish’ program. I am sorry to hear of his passing. In the short time I knew him, I saw his love for the Lord, and Mary (he led the Rosary at church), his involvement in Divine Mercy, and Eucharistic Adoration; I believe he is with the Lord. The first time I met Joe and Jean was at our Divine Mercy group at Queen of the Holy Rosary. Both were good people and loyal friends. It saddens me that both are gone now, but I think they are having fun right now. He sure loved his children, and worried over them like my parents worried over us. God bless you all. It is with great sadness and sorrow to learn of the passing of Joe Deters. To say that he was a wonderful person seems to leave out something. He was a very warm person that as soon as he saw you and recognized you big smile would just sweep over his face. He was a Friendly person that would always have a warm greeting for you. Who can forget those big hands as they would wrap around yours and exude the feeling that "I am so glad to see you today." Who can forget the times when one would go rushing out of the church after Mass to see Joe sitting in his pew carrying on a private conversation with God and it seemed that with he smile on his face, he may have also been taling to his Jean. One can only thank God for placing a person like Joe in our midst. He too will pass into history but will live in the memories of those who knew him. God Bless you Joe and thanks for being you. We are going to miss your smile and you.